CNN) — Michael Jackson, the show-stopping singer whose best-selling albums — including “Off the Wall,” “Thriller” and “Bad” — and electrifying stage presence made him one of the most popular artists of all time, died Thursday, CNN has confirmed. Lt. Fred Corral of the Los Angeles County Coroner’s Office said an autopsy would probably be done on the singer Friday, with results expected that afternoon. For the rest of the 1980s, they came no bigger. “Thriller’s” follow-up, 1987’s “Bad,” sold almost as many copies. 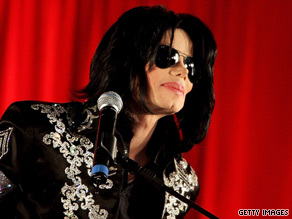 A new Jackson album — a new Jackson appearance — was a pop culture event. The pop music landscape was changing, however, opening up for rap, hip-hop and what came to be called “alternative” — and Jackson was seen as out of step. His next release, 1991’s “Dangerous,” debuted at No. 1 but “only” produced one top-ranking single — “Black or White” — and that song earned criticism for its inexplicably violent ending, in which Jackson was seen smashing car windows and clutching his crotch.